We are engaged in manufacturing a range of L Sealers, which having a sealing arrangement of wire/blade type. Our products have low maintenance cost due to the sealing system. These products are long-lasting products and durable in nature. Our range of L sealers includes L sealers. 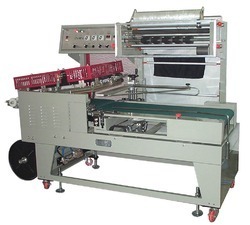 Continuous Band Sealer can seal plastic films made from various materials continuously. Foot Sealers are widely applied to seal all kinds of plastics films, compound films, and aluminum- plastic film. 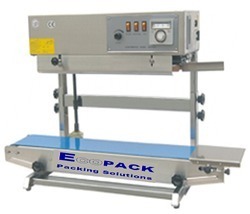 Foot sealers are widely used in such industries as foodstuff, special local products, tea, medicine, hardware etc. They are most convenient and economical sealing equipment for shops, families, and factories. 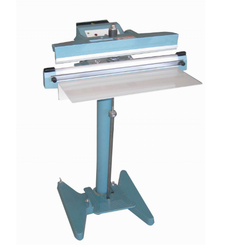 Web Sealer Machine can be pushed manually or pneumatically. After the process of sealing cutting, the products enter the shrink tunnel automatically. Shrink packing for many industries, such as printing, pharmacy, floor, chinaware, beverage, beer etc. It’s suitable for all kinds of shrink films such as PVC, POF, PP, PE etc. We provide Double Side Sealer to the clients. 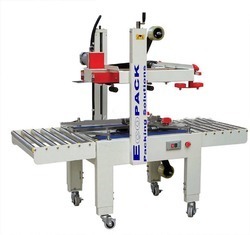 Hand sealers with middle cutter are appropriate for sealing PE, PP, PA and PVC foil and also thinner double-coated materials. It widely used in such industries as foodstuff, special local products, tea, medicine, hardware etc. They are most convenient and economical sealing equipment for shops, families, and factories. Being the reckoned name in the industry, we deliver wide array of Automatic L-Sealer with Tunnel that are performance oriented and ensures wide application. Our entire range is dimensionally accurate in nature and maintains smooth finishing. Offered range is environment friendly and ensures wide application in light and heavy duty industry. Moreover, we offer them within budgetary limitations. 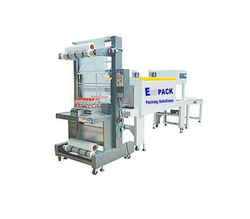 Carton Sealer fits for continuous sealing of Small & Standard Cartons in the different size, which can be operated alone and also can be equipped into production line. Carton Sealer is widely used for small & Standard cartons in domestic electrical appliance, foodstuffs, general merchandise, medicine and chemical industry etc. We are offering Table Top Sealers of various types. This L Sealers Model- LS TT1520 is one of the fine model of our company. This L sealer having low maintenance cost. Sealing Area : 10" x 12", 15" x 20", 20" x 30 "
Power supply : 230V, Single phase, 1.25Kw. Specially designed Trouble free SEALING ARM LIFTER. Cut-off System for expansion control of Sealing Blade for long life. Silicon Sealing Rubber for long life and consistent sealing. Rubber Stopper for Film Roll. Automatic L-sealer cutting machine is fully automatic unmanned L sealing cutter, widely used for lot production pipelining with high efficiency. The machine is equipped with auto film feeding & perforating device and adjustable product infeed conveying table in order to meet different requirements from different products. EPLS-5545A has a tight lock device especially designed for packing small products. Adopt aluminum alloy cutter with DUPONT Teflon coating that is thermo stable and antis ticking to ensure good sealing without cracking, coking or any smoke pollution. The film feeding length is controlled and regulated by magic eye and counter. There is an inductive motor for auto collection of film waste. Equipped with two sets of imported photocells, one is used for horizontal detection, the other is for vertical detection, which are easy to switch. The machine can achieve packaging work easily even for thin and small package. Adopt digital temperature controller with PID function. Sealing temperature is extremely sensitive and accurate, which can be regulated at will. The cutter itself has function of auto protection in order to avoid wrong cutting. Simple size changeover. No need to exchange any moulds or any bag making devices. There is an organic glass safety cover with alarm function around the sealing & cutting part of this machine in order to ensure safety of operator. The machine can be connected with the production line to carry out unmanned operation. Automatic L-seal cutting machine is suitable for lot shrink wrapping in various industries, such as software, foodstuff, cosmetics, printing, pharmacy, flooring, ceramics, beverage and hardware etc. 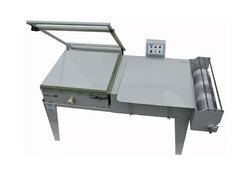 Air Flushing Continuous band sealer adopts solid-ink coding device to print the colored label on bag while sealing. The print wheel equipped to the machine can be used for both R arrange and T arrange of types. For types in R arrange, the machine can print two lines in font size two (18PT) or three lines. If necessary, counting device can be equipped as well. Solid-ink coding is featured by high definition, various selectable colors, instant dry while printing, strong adhesive property. Air Flushing Continuous band sealer is applied to pack fragile or bulking objects generally. 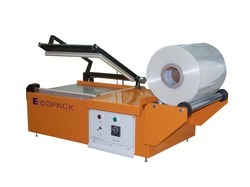 Continuous band sealer ( Vertical )can seal plastic films made from various materials continuously. continuous band sealer is suitable for sealing small package in foodstuffs, general merchandise, medicine, spices , seeds and chemical industries. We are a leading Manufacturer of L Sealers.These sealers are largely used in industries like food processing, beverage, bakery and garment for packing products, protecting them from dust & moisture.